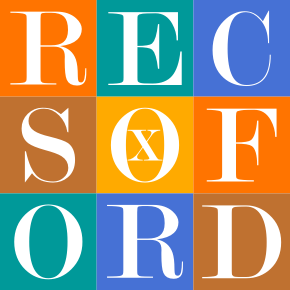 The RECSO Network, currently supported by The Oxford Research Centre in the Humanities (TORCH) under the ‘New Network Scheme’, is a graduate-led initiative to facilitate interdisciplinary training, teaching and research in the long eighteenth century. As well as providing a physical space for researchers from different disciplines to encounter one another, in 2014-15 we will be holding a fortnightly series of talks, events, and seminars. Please visit http://www.torch.ox.ac.uk/recso. The RECSO Blog and Network is administrated by a committee of graduate and ECR volunteers, who represent their respective faculties, author news posts, chair sessions, organise events, and carry out a variety of roles within the programme. Geraldine is a Clarendon-funded DPhil student in History at Merton College, Oxford. She is supervised by Professor Kathryn Gleadle. Her research focuses on elite political families in the British Houses of Parliament (c.1710-1780). She is interested in understanding the roles of kinship culture, dynasticism and interfamilial correspondence in the lives of prominent Georgian politicians who possessed a multitude of political colleagues who were related to them by blood or marriage. Outside of her doctoral dissertation, she is also interested in recovering the experiences of domesticated animals in the long-eighteenth century. Paul Stephens is a DPhil candidate in English Literature. His doctoral thesis examines the poetry and prose of Percy Bysshe Shelley through the disciplinary lens of economic philosophy, exploring how the poet’s understanding of concepts such as debt, money, and value are conditioned by his metaphysics and epistemology. His broader research interests focus upon the literature, philosophy, and economics of the eighteenth and nineteenth centuries. Adam founded RECSO in early 2014, and directed the project in its first year as a TORCH Network. He continues to support the project, and is currently working on RECSO’s long-term financial plan as a part of the university, and consulting with other graduate groups who wish to set up similar period-specific networks. Fabio Morabito is the Lord Crewe Junior Research Fellow in Music at Lincoln College. His research focuses primarily on musical culture in Paris and Vienna in the early nineteenth century, looking at the cult of eccentricity and the origins of celebrity, the commercialization of selfhood, and the intellectual history of musical authorship. He is interested in how both music performers and composers conceptualised their roles and constructed their artistic identity in the eyes of the public. Other interests include canon formation and music historiography, the ontology of musical notation and performance studies. Alice’s doctoral research focuses on the tunebooks of J. B. Malchair, who collected ‘national music’ on the streets of Oxford, 1760-1812. Her work explores eighteenth-century collecting practices and provincial musical life. She is interested in the historical use and categorisation of what is now tered ‘vernacular’ or ‘traditional’ music, and in the relative values placed on print, manuscript, and oral sources in the eighteenth century. Anna is a D.Phil student researching ‘British Actresses and Fan Culture: Cultivating Celebrity on the Stage, Page and in the Frame in the Late Eighteenth Century’. Her project explores how celebrity culture developed in relation to the increasingly visual and literate society, the advancements in the technology and reach of print culture and the growing secular structure of society. She is the recipient of the John Hodgson Theatre Research Fellowship from Mansfield College, Oxford. Joe is in the second year of a doctoral project (funded by the AHRC) that aims to develop an analytical and critical framework for understanding notions of fantasy, grotesquerie, and the uncanny in Schubert’s late music. Dr Ruth Scobie was the Andrew W. Mellon Postdoctoral Research Fellow in Exploring Celebrity and is now an Early Career Research Fellow at TORCH. She is working on a monograph, Islands of Celebrity: Oceania and the British Problem of Fame, 1770-1823, which links perceptions of the South Pacific in the late eighteenth century and Romantic period to transformations in the ideas and technologies of fame. She also runs the Celebrity Research Network at the Oxford Research Centre in the Humanities (TORCH), organising a programme of interdisciplinary and cross-period events on fame, celebrity, reputation and notoriety in history, literature, and art. To participate in this Network, or to join the Network mailing list, please contact Geraldine (geraldine.porter@merton.ox.ac.uk). We are constantly looking for interesting speakers for both our own, and related, programmes – so if you have a talk which corresponds to the themes outlined above, please get in touch.